On September 24, 2014, a team from HELP visited BEST Centre to conduct an interview with one of the directors, Ms. Phoebe, and to carry out an observation of the children at the centre. After this first visit to BEST Centre, the group members gained better insight into children with learning disabilities (LD), as well as the people involved in their education and care. We were all enlightened as to the difficulties and struggles they face in day-to-day situations. We frequently hear only of how children with LD struggle in school because they do not fit in with the rest of the students. After the interview, we learnt that the disabilities can be such a hindrance that they are forced to be pulled out from school. The centre meets these children’s need for education, catering to their strengths so that they can progress in life- as most centres involved in LD would do; we seldom think very far when it comes to the progress of children with LD, focusing, mainly, on their current situation. The trip reminded us that there is still a long road ahead for these children, and that this period of time is only a small part of their journey. By empowering them at a young age, it provides them with skills that they can make use of in the future in order to live an independent life. It was comforting to see that the centre we visited took this into account and equipped them with basic life skills. Not only that, they also believe in pushing the children to reach their best potential by offering them opportunities which they lack in normal schools. Another thing we learnt from the visit was the burdens of parents who have children with LD. One of our members mentioned that she has always sympathised with the parents as they required more time and energy to take care of their children as compared to other parents. They also face the problem of being judged by others because of the disabilities associated with their child. BEST Centre not only works to help the children, they also educate the parents because they recognise that family interaction also affects the children’s wellbeing. They train and advice parents as most are not prepared and knowledgeable in the ways of caring for children with LD. We were rather impressed at the amount of thought the Centre puts into making sure the children grow up in a nurturing environment. The workshops and classes for parents also act as a form of support for parents, particularly those that feel helpless in their situation. One thing we all agreed on is that Ms. Phoebe, the person we interviewed at the Centre, is a very passionate and amazing educator especially when dealing with children with LD. Before the trip was made, a few of us had the mind-set that the Centre would be one that acted as more of a day care for parents who do not know how to take care of their children with LD who also face troubles at school. We were delightfully surprised to find out how much effort the Centre puts in to make sure the educators are well equipped and trained to help children. We found the Centre to be flexible and considerate of the children’s needs as they craft a wide variety of structured activities to facilitate the education of the children, moulding activities in order to best suit each individual need. Furthermore, caring for the children can be mentally exhausting and physical injuries can be quite common. During the visit, a child kept interrupting the interview session and Ms. Phoebe had repeatedly ask him not to disturb. Once, she had a toe fractured due to a child throwing tantrums. Knowing that children with LD are more difficult to manage than “normal” children, they still push on and do the best they can provide education and opportunities for them that they would otherwise never get the chance to experience. Their deeds are highly admirable and the whole experience was an eye-opener for us. Definition of LD. Children with LD merely have a different approach to learning as compared to the general population, consequently, there is scare accommodation to their needs. The lack of early awareness concerning these children’s “difference” further deteriorates their situation, causing them to be unable to live up to the fullest of their potential. The main etiology of the perpetuation of LD, as opined by Ms. Phoebe, is lack of nurturance. Thus, it was concluded that children come complete as they are; however, it is deficiencies in their environment that preserves their disability. Concerning the use of diagnoses, to help all parties involved to identify an area of focus, there is a time and necessity for such specific labels, in order to better assist children with LD through problem-focused solution and/ or teaching strategies which could be tailor made to fit their needs. However, the labels should not extend beyond such a use because it is discriminatory, causing stereotypes which could potentially harm the already-hampered development of these children. LD in Malaysia. Many parents either deny their child’s LD or are angry that society at large, fail to understand the full implications of a LD. Although the general public remains relatively ignorant of LD, with the forming of special schools, awareness is perceived to be gradually building up as authorities begin to take notice of and address this particular pocket of community. Ms. Phoebe also felt that there is over-pampering of children with LD by their parents, resulting in a lack of independence, which again, perpetuates the children’s LD. Hence, the rational of the Centre’s adopted values and approach regarding their involvement with children with LD, as discussed in the next section. Intervention methods. In BEST Centre, Ms. Phoebe and her team support the children via experiential play, interaction and forming bonds with them. Intervention programmes are specially tailored with specific child in mind to best meet each individual need, as the institute houses children with various types of LD. Many of their intervention methods for the children’s learning are movement-based as they believe that a chief factor of the children’s difficulties lies in their poor motor skills. Specifically, one method used is Brain Gym. It is a specific movement activity to help children enhance their skills in various areas , for instance, memory, communication, and so on. Besides that, other activities, such as field trips, are also organised for the children. During these trips, the older children are given slightly more autonomy in choosing where they wish to go and, at times, participant in organising the trip itself. 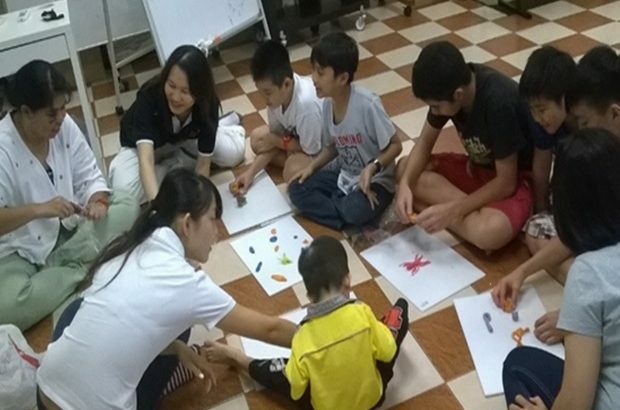 According to Ms. Phoebe, children in the Centre are allowed to learn at their own pace. At times, some of the children may feel uncomfortable to participate in any class activities; the educators will not force them to learn. Besides that, basic life skills are also taught to them progressively. Among them are cooking and baking, the product of which the children will sell at their very own BEST Café. Difficulties. Even though BEST Centre can be considered a haven for children with LD through the provision of individualised education and honing of skills, there are still many difficulties that the students face on a daily basis. Firstly, the students at BEST Centre tend to have disputes among themselves. It was noted by Ms. Phoebe that the students there tend to be rather emotional; hence, quite frequently, some of the students will verbally- or worse, physically-fight with another student due even to minor disagreements. This is not restricted to disputes between students; the educators sometimes struggle with the children in this area as well. Another difficulty the students at BEST Centre face is the lack of motivation, though it was noted that this usually applies more for the older children. They tend to sit around and do nothing, as they lack the motivation and initiative for activities unless given explicit instructions by the educators. Such was observed during the visit. However, it could just be that they had finished their tasks and thus, had no other tasks to complete. As the Centre also concerns themselves with the future of the students- and not just the “here and now”- the lack of motivation to engage in activities that can assist and guide the children(especially the older ones) as to their future pathways is a primary concern.